An inedible cut if not properly cooked low and slow, brisket prepared in a slow cooker is transformed into luxuriously meaty melt-in-your-mouthfuls. Add a 3-pound brisket to your slow cooker and set it to low, and it will be ready to eat in 8 hours. Add a cooking liquid such as beef stock or beer to the slow cooker and you’ll end up with an au jus for dipping or a flavorful base that you can thicken to create a savory gravy. Brisket is a cut taken from the breast of a cow. Responsible for supporting much of the animal’s weight, brisket contains a lot of connective tissue that must be broken down before eating. 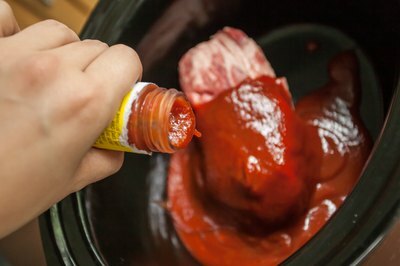 Extended exposure to low heat breaks down tough connective tissue, gelatinizing it and making the meat tender and flavorful. 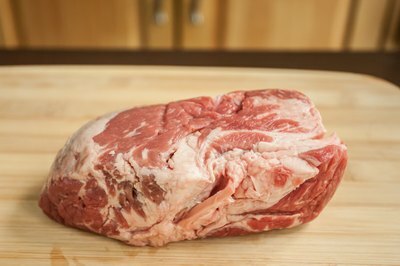 Available in two cuts, the flat cut brisket is typically larger and leaner, whereas the point cut has more fat marbling throughout. Brisket can be cooked in the slow cooker with or without liquid. When cooking without liquid, keep the layer of fat on, facing upward while the brisket cooks, so that the fat can flavor the meat and protect it from drying out. 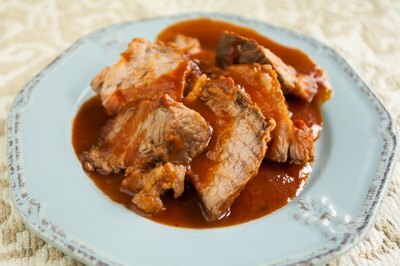 Liquids such as beef stock; beer; and tomato or barbecue sauce can be used to flavor the brisket. Seasonings including Worcestershire sauce; balsamic vinegar; liquid smoke; bay leaves; ground cumin; brown sugar; and chili, garlic and onion powders lend further flavor. Cook a 3-pound brisket for approximately 7 to 8 hours on low, or around 4 to 5 hours on high. If you prefer shredded brisket, cook for 8 hours or longer, but if neat slices provide a texture more to your liking, keep toward the shorter end of the recommended cooking time. Serve brisket cooked in beef stock or beer with a cup of the leftover juices as an au jus, or drizzled over shredded preparations. 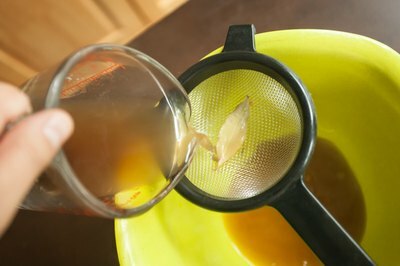 Strain the liquid through a fine mesh sieve or cheesecloth to remove excess fat or sift out ingredients such as bay leaves before serving. Add strained liquid to a pan and bring to a boil, adding a few dashes of cornstarch to the liquid until desired thickness is achieved to create a tasty gravy. Serve shredded brisket barbecue-style, paired with a traditional smoky barbecue or a tangy vinegar sauce, on sandwiches. 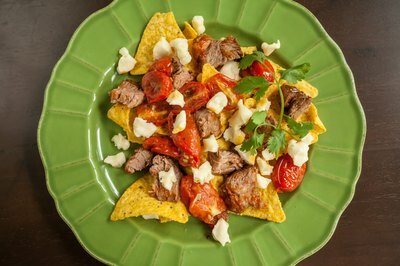 Try making shredded brisket tacos or nachos, topped with your favorite hot sauce or drizzled with nacho cheese sauce. Sliced brisket makes an excellent sandwich, especially when paired with a horseradish cream sauce or a sweet and spicy barbecue sauce. Let sliced brisket take center stage on your plate, nestled alongside potato salad and collard greens or coleslaw, or paired with macaroni and cheese.